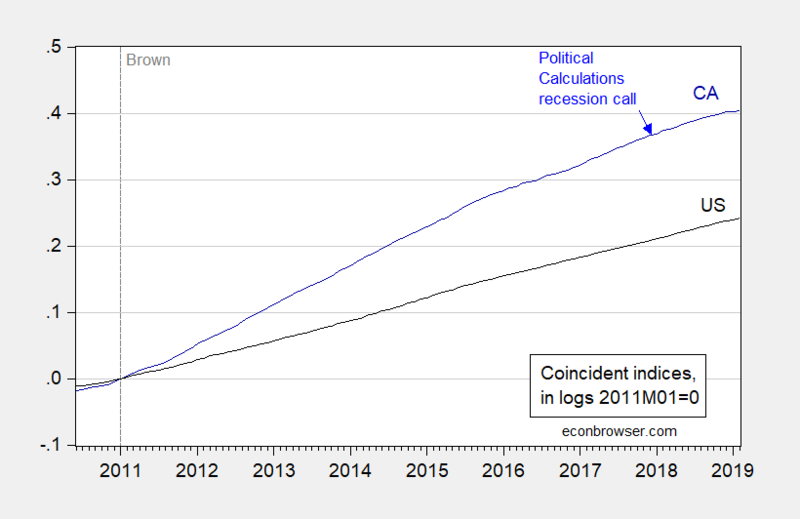 Figure 1: Log coincident index in US (black), and in California (blue), both in logs, normalized to 2011M01=0. Blue arrow at timing of Political Calculations recession conjecture. Source: Philadelphia Fed and author’s calculations. 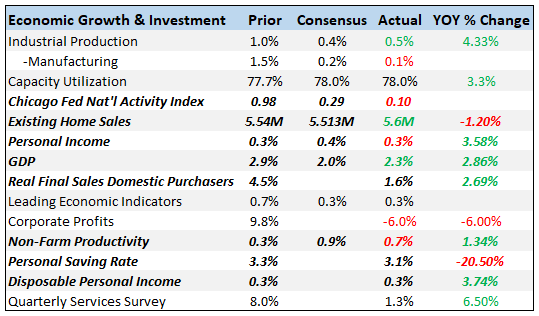 According to my work with Ryan LeCloux, the growth elasticity of real GDP with respect to coincident index is about 0.60 (statistically significant), so we can be reasonably certain that GDP is still trending up.